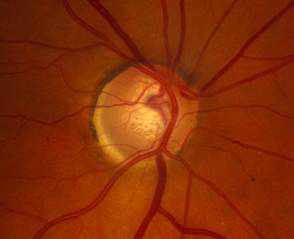 Chief Complaint: 50-year-old female with progressive visual field loss, glaucomatous disc change and normal intraocular pressure (IOP). History of Present Illness: Patient was diagnosed with glaucoma by her local optometrist one year ago. She has been using latanoprost in both eyes (OU) at nighttime since her diagnosis. Recent follow up detected progressive visual field changes in the left eye (OS) and the patient was referred for further evaluation. Past Ocular History: No previous ocular procedures or trauma. Family History: No family history of glaucoma. Additional finding: change in hand color consistent with Raynaud’s was observed bilaterally during exam (see Figure 4). OCT demonstrates thinning of the nerve fiber layer in the superior and inferior portion of the both optic nerves. A) Right eye shows loss of nerve fiber layer with an average thickness of 74.43 microns. B) Left eye shows more substantial loss of nerve fiber layer with an average thickness of 62.05 microns. Larger portions of the superior and inferior optic nerve head are affected. This correlates with the appearance of the optic nerves on photography. Figure 4: Image of patient’s hand during exam. 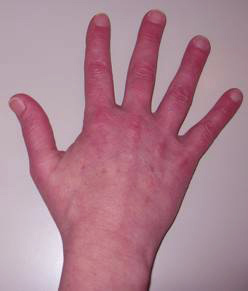 Erythema demonstrates hyperemic phase of Raynaud’s, which usually follows vasospasm and reversible ischemia of peripheral arterioles. Course: A 24 hour blood pressure monitoring ruled out nocturnal hypotension (SBP: 110-138; DBP: 66-85. Lowest BP recorded was 110/66 at 4:10AM). Based on the amount of cupping and corresponding visual field damage, a target IOP range of 12-13 mmHg was chosen. Additional topical medication was added (latanoprost OU and brimonidine OS). Diurnal curve demonstrated IOP range 14-20 OD and 12-18 OS with peak of 20 OD and 18 OS at 10:00AM. On subsequent follow-up, she was noted to have progression of visual field loss (see figure 5) and a new disc hemorrhage OD (not shown). Additional anti-glaucoma medication was prescribed. 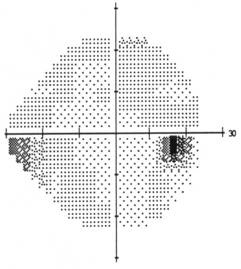 Visual Field OS: Paracentral scotoma with superior and inferior nasal step. Field now shows development of superior arcuate defect. Visual Field OD: Small inferior nasal step has developed. In summary, this patient is a 50-year-old female with cupped optic nerves with corresponding visual field loss and nerve fiber layer thinning on OCT, and normal IOP on diurnal curve measurement. Medical History is significant for Raynaud’s disease and 24 hour blood pressure monitoring ruled out nocturnal hypotension. She subsequently developed visual field progression and a disc hemorrhage. This constellation of findings is consistent with the diagnosis of normal tension glaucoma. 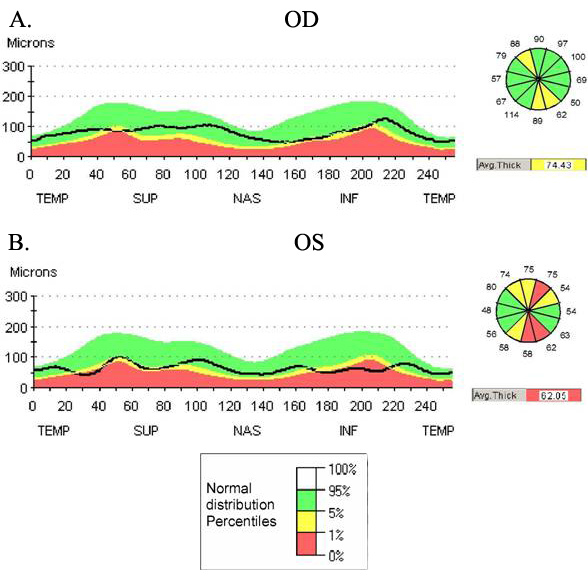 Normal tension glaucoma is characterized by open angles, glaucomatous optic discs, progressive visual field changes and thinning nerve fiber layers in individuals with normal IOPs. In the United States, 15-25% of people with signs of open-angle glaucoma will have a single IOP measurement within the normal range. Because IOP can vary from hour to hour, a diurnal curve is helpful to confirm single readings in making the diagnosis. No features, other than IOP, can consistently differentiate primary open glaucoma with elevated pressure (POAG) from NTG although some differences have been described. Patients with NTG are, on average, 10 years older than those who have POAG. NTG optic discs are more likely to show focal notching, nerve fiber layer hemorrhage and focal paracentral scotomas in the visual field. The pathogenesis of NTG remains unclear. One potential mechanism is vasospasm. This idea is supported by studies which show an association between NTG and conditions of vasospasm or vasoconstriction such as Raynaud’s syndrome and migraine headaches. In addition to vasospasm, it has been shown that some glaucoma patients (and normal individuals) have blood pressures which decrease significantly at night during sleep. At the same time, there is evidence that the IOP increases in a supine position which is typical during sleep. The decrease in systemic perfusion pressure coupled with increase in IOP could lead to a compromise in blood flow to the optic nerve in NTG. For this reason, patients should be questioned on the use of systemic antihypertensives at night and may benefit from a 24-hour BP monitoring to rule out nocturnal hypotension. The Collaborative NTG Study showed that a 25-30% reduction in IOP can slow or prevent progression in NTG patients. This can be achieved through the same medical or surgical treatments utilized in POAG. A few studies from Japan showed calcium channel blockers may be beneficial in NTG associated with vasospasm. However, their use remains controversial and uncommon because of their potential for systemic hypotension. Hitchings, R. Normal Tension Glaucoma. Chapter 221. Yanoff: Ophthalmology, 2nd ed. Mosby Inc. 2004. Hayreh SS, Zimmerman MB , Podhajsky P, Alward WL: Nocturnal arterial hypotension and its role in optic nerve head and ocular ischemic disorders. 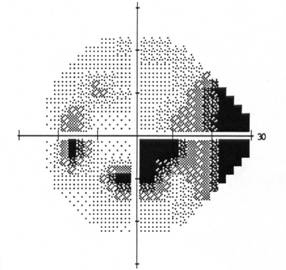 Am J Ophthalmol 1994; 117:603-624. Kiuchi T, Motoyama Y, Oshika T : Relationship of progression of visual field damage to postural changes in intraocular pressure in patients with normal-tension glaucoma. Ophthalmology 2006 Dec;113(12):2150-5. The effectiveness of intraocular pressure reduction in the treatment of normal-tension glaucoma. Collaborative Normal-Tension Glaucoma Study Group. 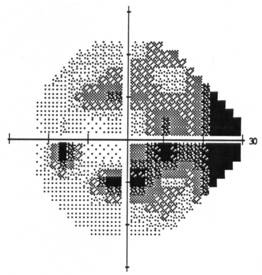 Am J Ophthalmology 1998; 126(4):498-505. Sawada A, Kitazawa Y, Yamamoto T, et al: Prevention of visual field defect progression with brovincamine in eyes with normal-tension glaucoma. Ophthalmology 1996; 103:283-288. Suggested citation format: Rixen J, Kwon YH. 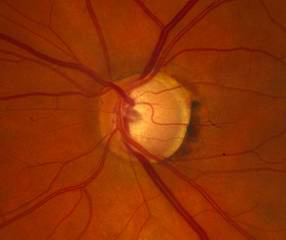 Normal Tension Glaucoma: 50-year-old female with progressive visual field loss, glaucomatous disc change and normal IOP. EyeRounds.org. 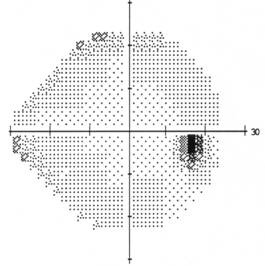 August 14, 2008; Available from: http://www.EyeRounds.org/cases/86-Normal-Low-Tension-Glaucoma.htm.